Looking for Costumes or Costume Ideas for A. I. Characters? This A. I., Artificial Intelligence, T-1000 Terminator 2, Cop Costume is just one great A. I. Themed Costume Character you will find here. Our huge collection of AI Characters Outfits is the largest in Dallas, DFW or the North Texas Area. We have many A.I. Theme Party Costume Ideas like Futuristic Cyborg Villains, Futuristic A. I. Cops & Bounty Hunters, Apocalyptic A. I. Robot Aliens or get A.I. outfits for characters from Scifi Movies with A. I. Themes, Dystopian A. I. TV & Cable Show Characters & Video Game Character Costumes. You will even find Burning Man 2018 ‘I Robot,’ A. I. Themed Costume Ideas. Get Lighted Leggings & Clothing, Robotic Morph Suits, Silver Metallic Clothing, Gloves, Masks, Futuristic Weapons and a ton of other great A. I. Costume Creation Ideas. It’s all in stock and we are open all year round. When it comes to Artificial Intelligence Character Costumes, we have you covered. Meet Bette Midler as Bobbie Markowitz clone at the end of The Stepford Wives Movie. Nobody in the Dallas, DFW or North Texas Area has more A. I. Character Costumes & Costume Ideas than us. Get the best A. I. Character Costumes from A. I. Television Shows, Movies or even Video Game Characters. We have everything you need for Artificial Intelligence Complete Outfits for Cyborg Cops, Robotic Humanoids, Futuristic A. I. Bounty Hunters, Virtual A. I. Hologram Personality Characters, Humanoid A. I. Clones to replace humans, A. I. Video Game Characters and more. Get Futuristic, Modern or Vintage Attire for A. I. Characters from the Past, Present or Future. Create your own A. I. Futuristic, Dystopian, Fantasy or Science Fiction Characters. Get Robotic Morph Suits, Shiny Spandex Attire, Chrome and Silver Metallic Fabric Clothing & all the Weapons & Gear you can imagine. There are some Supreme Quality Outfits & Accessories and some that are Median or Economy Prices. Get an entire A. I. Outfit or just the pieces you need. We are open all year. One of the greatest Artificial Intelligence Characters of all time is Terminator, T-800, Arnold Schwarzenegger, and we have that Costume in Stock always. From the Terminator Leather Biker Jacket & Leather Biker Jeans to the Weapons and Accessories, we have it all. What is your favorite A. I. Movie or Movie Character? You will find all the other popular A. I. Character Costumes here. You can get A. I. Cyborg Masks & Morph Suits, Wigs, Makeup & A. I. Gear for creating any Artificial Intelligence Character Costume you can Imagine. Get Supreme Quality Costumes of Median & Economy Costume Pieces or Accessories. Get all of the Cyborg, Artificial Intelligence Costumes, Costume Masks and Costume Accessories you need to create your own A. I. Cyborg , Artificial Intelligence Robot Character. Check out these A.I. 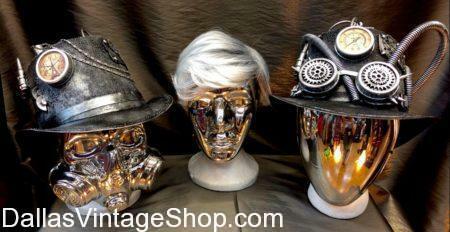 Chrome Robot Face Masks, Wigs & Hats for helping you to create your own Cyborg or Android A. I. Character Costume. These are great for Burning Man’s ‘I Robot’ Artificial Intelligence Attire. What is your favorite robot or A. I. Character? Let us help you create the costume of your imagination. Get High Quality or Economy Costumes or Costume Pieces and Accessories. We have Silver Face Paint, Wigs, Silver Lame Fabric Attire for Ladies or Men for futuristic A. I. 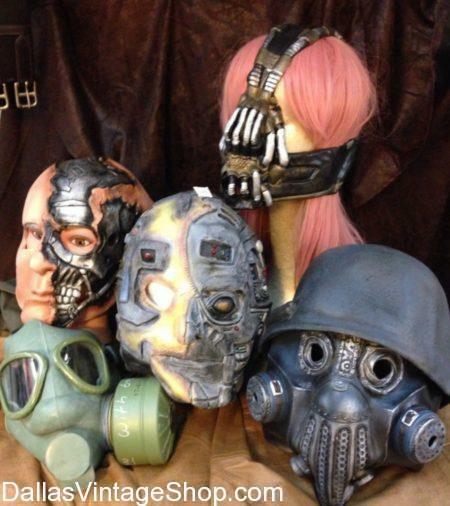 Costumes, We have A. I. Dystopian Cyborgs, A. I. Apocalyptic Android Bounty Hunters, A. I. TV Show & Movie Characters Costumes and all the Accessories you need. We have the best A. I. Costumes & Ideas in the Dallas, DFW & North Texas Area. We have Artificial Intelligence Costumes & Accessories in Stock. These Cyborg Costume Masks are perfect additions to your A. I. Costume. What is your favorite A. I. Movie Character? We can help you with Makeup, Prosthetics and Costume Ideas you would not believe. Nobody in the Dallas, DFW or North Texas Area has more A. I. Character Costumes & Costume Ideas than us. Get the best A. I. Character Costumes from A. I. Television Shows, Movies or even Video Game Characters. We have everything you need for Artificial Intelligence Complete Outfits for Cyborg Cops, Robotic Humanoids, Futuristic A. I. Bounty Hunters, Virtual A. I. Hologram Personality Characters, Humanoid A. I. Clones to replace humans, A. I. Video Game Characters and more. Get Futuristic, Modern or Vintage Attire for A. I. Characters from the Past, Present or Future. Create your own A. I. Futuristic, Dystopian, Fantasy or Science Fiction Characters. Get Robotic Morph Suits, Shiny Spandex Attire, Chrome and Silver Metallic Fabric Clothing & all the Weapons & Gear you can imagine. There are some Supreme Quality Outfits & Accessories and some that are Median or Economy Prices. Get an entire A. I. Outfit or just the pieces you need. We are open all year. You are in Artificial Intelligence category.